Unisono Music Academy is long time partner with Associated Board of the Royal Schools of Music. 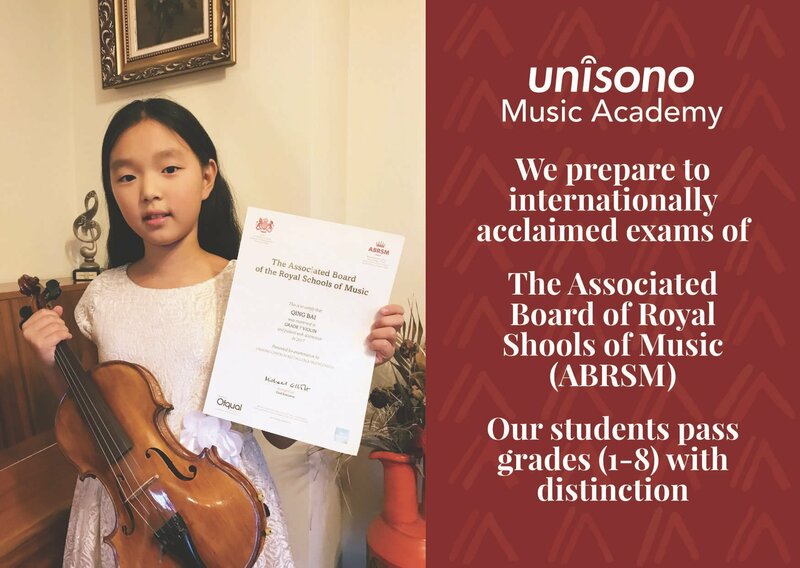 Our music school students pass ABRSM exams with distinction note. These exams allow to take studies in world renown institution like a Berklee College of Music (USA) or Royal Academy of Music in London. Without additional fees students can take route of tuition for selected grade of ABRSM exam (1-8).